Andrew Pacinelli DMD is the authority in providing solutions for the most challenging dental conditions. If you have a dental problem that is deemed “hopeless” and do not know what dental specialist to see, Dr. Pacinelli can offer solutions to the most complex dental problems. Eileen arrived at our office with “finished crowns and temporary crowns” on her upper teeth after having been under the care of her general dentist for over a year. She was unhappy with the aesthetic appearance of her smile and her time invested for the results she was receiving. Eileen thought her restorative outcome was hopeless and sought our services. New temporary restorations were personally fabricated by Dr. Pacinelli based on old photographs provided by Eileen. 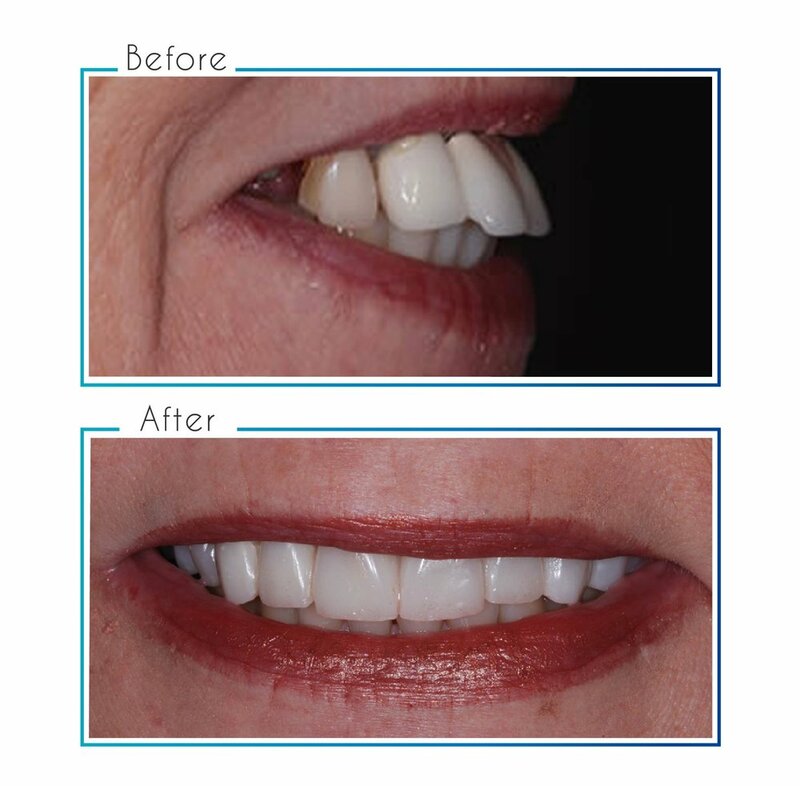 Within a week, these temporary restorations were delivered and used as the guide for the fabrication and delivery of the definitive all-porcelain crowns and veneers three weeks after presenting to the office.